Patelle both look and taste divine. In Pantelleria the cliffs are caressed by the sea, and at this union of water and land is where you may find these little mollusks. Patelle in Italian means little pan. In the local Pantescan dialect they are called pateddre, and in English they are known as limpets. If you come across them just enjoy, whether you eat them raw, au gratin or in a pasta! There are several ways to cook pasta with patelle in Pantelleria. On most tables you will see them prepared with a tomato-based sauce, but I prefer a cream based. 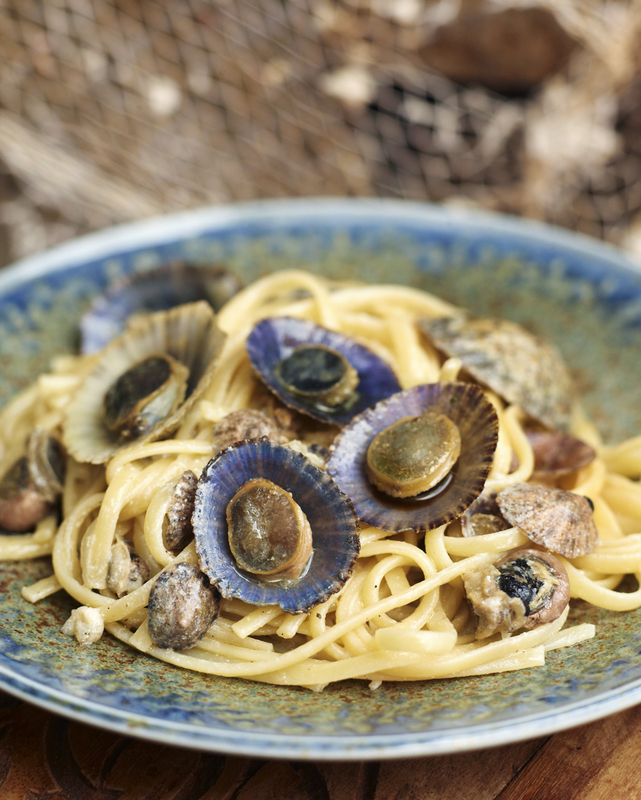 If you don’t have patelle you can cook this recipe with mussels, small clams (cherry stone or, in Italian, vongole) or any available fresh shellfish understanding that the larger the mollusk the longer it will need to cook and the chewier the meat will be. With these jewels of the sea on my plate and a glass of crisp white wine in the glass, the weekend can begin. Fill a large pot with water and sea salt to taste, cover with lid, place on the largest stove top burner, set on high and allow water to boil. Place a large saucepan over medium heat on the stove, into it add olive oil, the garlic and shallots. Saute until warm and translucent. Next add the patelle (limpets or clams) and the wine. Cover and simmer over medium heat, shaking the pan occasionally until all the clams open. Add the heavy cream and chile pepper. 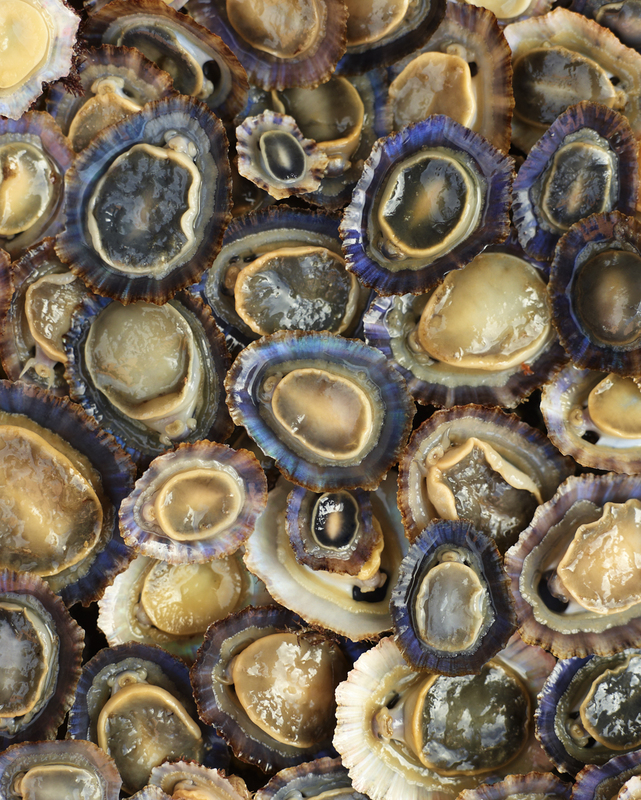 Taste the sauce, the juice given off by the shellfish can be salty, sparingly adjust salt to taste. While the clams are simmering, add the pasta into the pot of boiling water and cook according to the instructions on the package. Drain the pasta and transfer to a large bowl. Add the Patellle (Limpet or Clam) sauce and toss well. Serve immediately in bowls with crunchy bread to soak up the sauce! This entry was posted in Pasta Recipes and tagged Anna Huerta, Limpet, Pantelleria, Pasta, Pateddre, Patelle, Pearl River Mart, Sea, Sea fod, Sicily, Spring on March 21, 2014 by Anna Huerta.